Edgar Cunningham Allen, born March 24th, 1902 in Paulding, OH1, was a minor league baseball executive. He lived varyingly in Little Rock, AR from 1915-1930. Edgar moved to Little Rock in 1915 after his father purchased the Montgomery franchise and moved it there. He soon began working various jobs at Kavanaugh Field and eventually worked his way up to assistant secretary of the Little Rock Travelers before his father sold the team before the 1931 season. 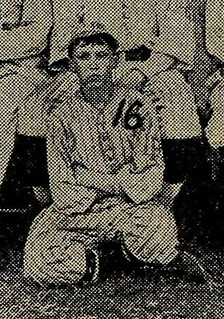 Allen played baseball for the University of Pennsylvania, graduating in 1925. Later, he became an executive with various Southern Association teams, including Nashville, Knoxville and Mobile. He was also supervisor of Dodgertown, the spring training site of the Brooklyn/Los Angeles Dodgers, from 1954-1959.